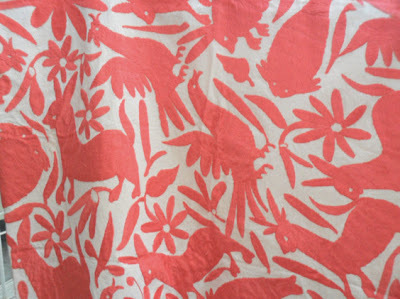 I am obsessed with Otomi embroidered fabrics from Mexico. Ever since I had Christmas dinner on one last year, I have wanted one of my own. The crazy price of it has kept me from taking the plunge since I do not spend that much on table linens. But after seeing this application from Pinterest, I think I could justify the price tag. 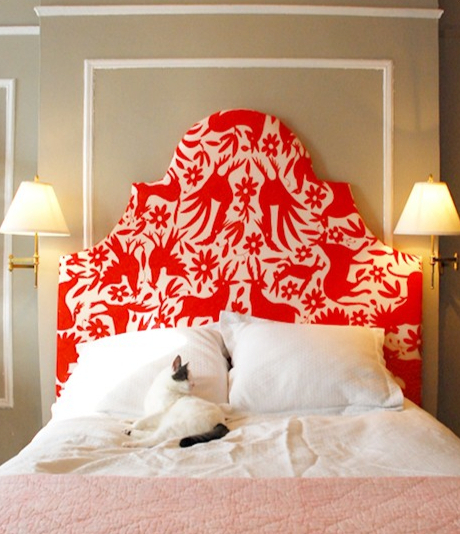 The headboard is fantastic and such a great way to use the fabric. I also am loving it as a way to cover otherwise dull chairs. Or you could simply use as a bedspread like below. 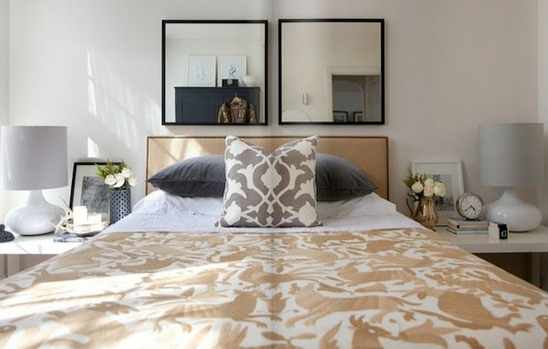 I like how the neutral color gives some interest to this otherwise basic room without being too loud. 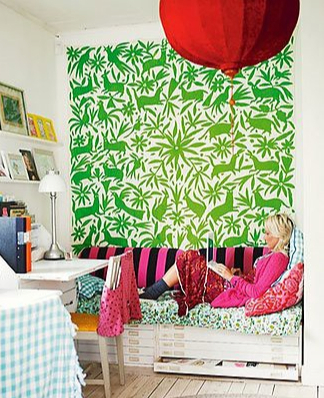 Simply hanging as wall art would be so fun, especially in a little nook like this. The large sizes of the Otomi fabric starts around three hundred dollars. This Etsy store sells the below option and a couple others. 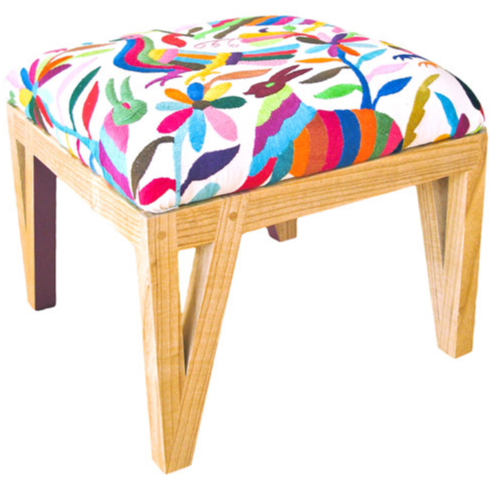 Also on Etsy was this great Otomi covered ottoman. Obsessed. For a less pricey option, these pillows would be so fun on a bed, couch or piled on a chair. You can find them in a few colors and styles from this Etsy store. 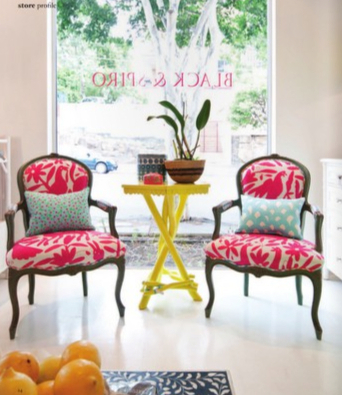 I love that there are options for this great fabric and I am hoping to figure out how to incorporate it into my pad. Thank you for sharing! 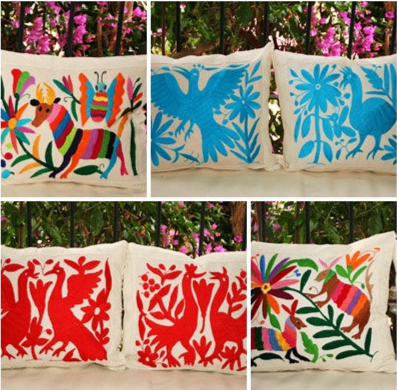 I love otomi embroidery too.